with more than 130 different games on 13 pistes. All the necessary equipment is provided and monitors are on hand for security and help. There is a mini course for children from 3 years. The entrance fee gives access to the park for 4 hours. 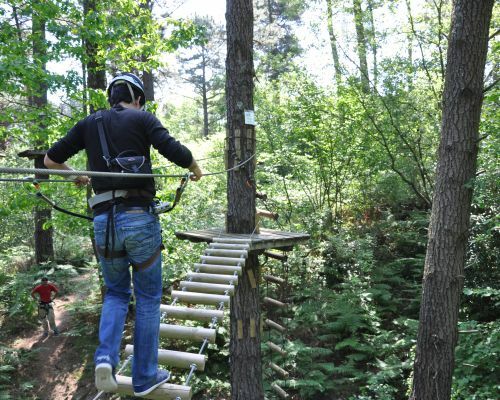 Other activities are available: mini golf, trampolines, paintball. A picnic area is set in the park.